Dana-Farber Cancer Institute | SIGNET Electronic Systems, Inc. 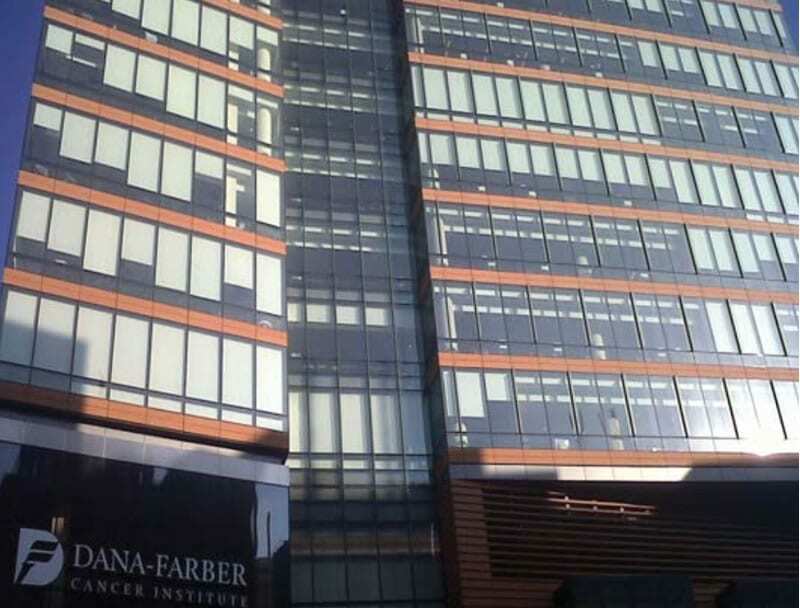 The Dana-Farber Cancer Institute Yawkey Center for Cancer Care is a state-of-the-art, 14-story, outpatient care and clinical research facility. The Yawkey Center adds 275,000 square feet of clinical space, has 130 exam rooms, 150 infusion bays, and numerous patient and family consultation rooms. The building will serve as the model for cancer centers of the future. The Yawkey Center for Cancer Care required their nurse call solution to be highly programmable, offer many custom call priorities, and well over a dozen partitioned nurse consoles and display panels per floor. The calls would be partitioned to the many workstations by call priority, room, location and department. SIGNET provided Dana-Farber Cancer Institute with the Rauland Responder 4000 nurse/patient communication system. The system provided a facility-wide integrated network of over 1,500 nurse call stations. Over 75 nurse consoles and display panels were installed to properly cover the “unconventional” floor plan design. Custom “Medical Response” stations were installed in the exam rooms, infusion bays and procedure rooms with specially programmed call processes and notification workflow. During the vendor interview process, SIGNET’s extensive hospital project resume, coupled with our capability in the 50+ million dollar construction category, was closely examined. The Yawkey Center for Cancer Care is the largest cancer center in New England. Several weeks of clinical instruction by SIGNET’s professional trainer highlighted the systems capabilities to nursing management. As a result, the system was expanded and enhanced by an additional ten percent. SIGNET also provided the same system solution, incorporated with wireless phones, to Dana-Farber Cancer Institute’s satellite facilities in Weymouth and Milford, Massachusetts.